If you’ve ever wanted to own your own blob as a pet (who loves to eat jellybeans) then the updated A Boy and His Blob game for Nintendo Wii will finally make your dreams come true (the game is based on the 1989 NES game). A Boy and His Blob features a simple plot and is more about the gameplay experience that you share with your blob. This blob comes from the planet Blobolonia and flees to Earth after an evil emperor attacks his home planet. It is here where the blob finds the boy (you) and the two of you team up in order to defeat the Emperor and his minions. 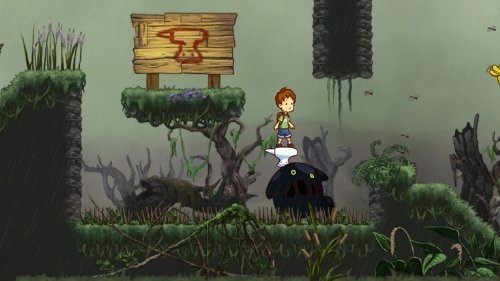 In terms of gameplay A Boy and His Blob plays like a fairly standard 2D puzzle game with platform elements on the surface. However, the game is much more deeper than that with a huge variety of puzzle mechanics to use across the 80 game levels (40 standard and 40 bonus challenges). The standard levels push double digit gameplay hours with the bonus levels adding about the same in terms of content. These bonus levels must be unlocked by collecting the treasure chests in each standard level. At the end of every 10 stages players are also required to fight a boss battle. 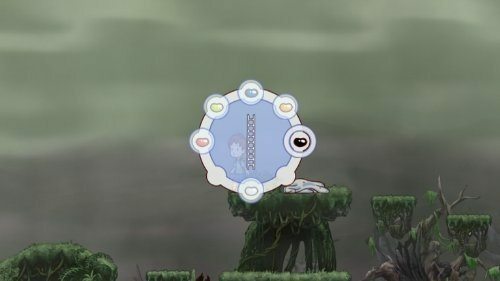 The core puzzle mechanic involves feeding your blob various jelly beans which can alter his shape. These jellybeans allow the blob to become a ladder, a heavy anvil, a trampoline, a parachute, a shield and so much more. Jellybeans are unlimited although players will only have certain types available to them on each level. Players can also make use of the hug button which serves no purpose other than to hug your blob (a great way to thank him for all of his hard work). Save Blobolonia from the evil emperor. Team up with your blob to solve countless puzzles. A total of 80 different levels. Transform your blob with various jellybeans. Use the hug button to give your blob a hug.